A unique opportunity to buy not one but two ‘barn-find’ Mercedes-Benz 300 SLs at no reserve will present itself at this year’s Artcurial Motorcars Le Mans Classic sale – and AutoClassics has the low-down. Bought by the late Swedish collector Gunnar Giermark back in the 1960s, and having remained virtually untouched in deep storage ever since, the highly original 1963 300 SL Roadster is estimated at 1.5-2 million Euros, while the equally authentic 1956 300 SL Gullwing is chalked up at 1-1.5 million Euros. 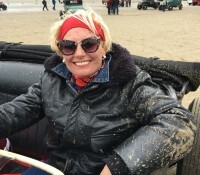 Well respected dental surgeon Giermark, who died in 2011, bought the Roadster new on 7 July ’63, and drove it only occasionally before squirrelling it away. Consequently, the car – which was last taxed in 1966 – remains in spectacularly original condition and still shows a mere 1380km on the odometer. With its disc brakes and aluminium engine block, this highly original example represents the last and most desirable version of the Roadster. Only 57 examples were built in 1963, and this model comes with its hardtop and all the original manuals and paperwork. Giermark bought his second 300 SL in March 1968, importing it from Portugal where it had been sold new on 21 July 1956. Little is currently known about the car’s history prior to his acquisition, but the odometer currently reads 62,000km. Again, all the original manuals are included in the sale. The intensely private – even reclusive – collector died seven years ago without heirs, and several claims to his estate have been subsequently disproven. As a result, the Government-regulated Swedish Inheritance Fund for unclaimed inheritance took ownership of both cars; the non-profit making organisation will use the proceeds to support young and disabled people. The 100-car Artcurial Motorcars Le Mans Classic sale takes place on 7 July, 2018. See here for more information.